so this is fall, really? We are really going to have to use our imaginations on this one, trust me. For what seems like the 100th day in a row we are in the triple digits. So this is fall, really? I don't dare force autumn onto the porch as I am sure my neighbors might have me committed. The weatherman and his Doppler radar assures me the fall like temperatures are out there...somewhere. That's okay, I can be patient. I mean it's not like I have a choice. So yes really, this is fall and boy, have I been waiting for you. We are planning a quick trip to the mountains tomorrow where hopefully, we will feel a bit of a chill in the air. What about you? Anything special planned for this first fall weekend? Cute cute cute Patty. Your pumpkins from Country Gen are perfect. I just keep say I am over it I am over it about the weather. I feel I will never be cold again. We are having cooler temperatures here and I'm starting to see porches all decorated for Fall. 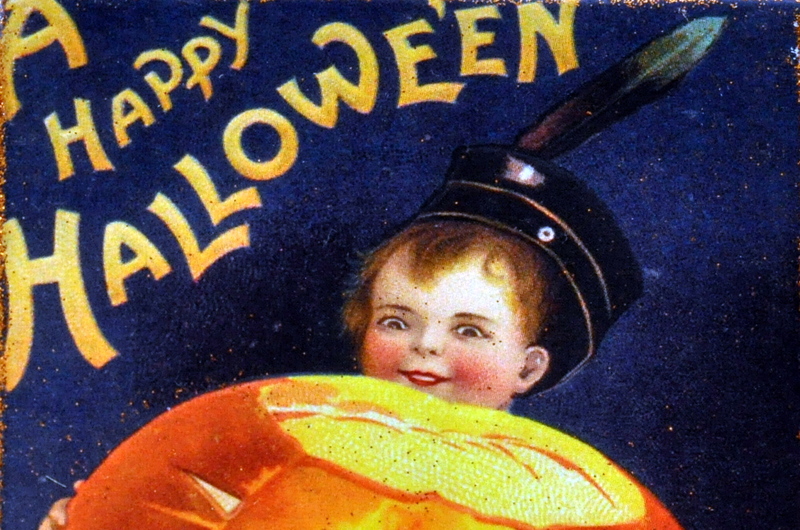 Love your little pumpkins...they are so cute!! Hi Patty, Once our new grandson arrives, we are planning on heading to the mts to see the colors. Here in Colorado it is cooler and fall is in the air. I love your candle stand and your pitchers are beautiful as well; actually all your decorations are fantastic. Have fun in the mountains. Love the color of your candle holder and your little pumpkins. We are having cool fall temps but I don't have all my decorations out yet. It's been down-right chilly here at night. So much so, that I just might light a fire tonight, to take the chill off. I love how you have done up your mantel, very sweet! You have the cutest pumpkins! We have been so lucky with temps in the 60's and today a bit of rain...finally! I have a feeling it is only temporary, we usually don't get cold in Chicago until November. 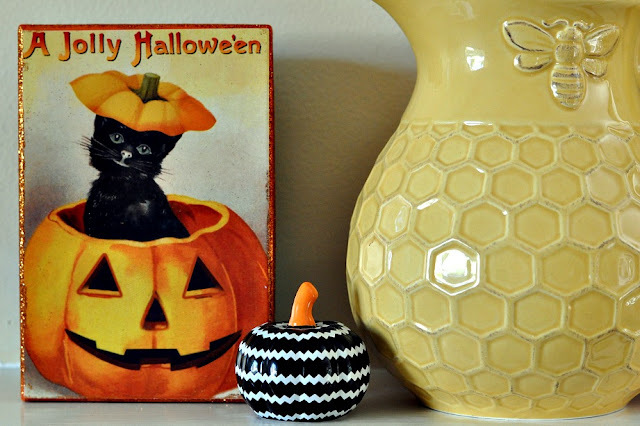 I hope to get my fall decor up next week! Bless your heart. I can hardly believe we seemed to have turned the corner here in my neck of the woods. Seems earlier than usual for us. I just hope it lasts. We've had fall temps but we're going to warm up as little this weekend..No special plans..Probably will pack a little more.. Your decorations are so perfect for Fall, hope your weather cooperates soon! I am apple picking, quilting, and soup making this weekend!!! YAY! I put my Halloween decoration out in hopes it might cool down, it hasnt....hopefully it will be nice up in the mountains for you, I might have to take a ride up there too, Im tired of sweating!!!! Love your mantle decor! "Mr.Ed" and I purchased our first pumpkin for the front porch yesterday...and we, too, are preparing for our annual vacation!!! Warm today, but a crispness in our air as I watered plants this evening! Enjoy your trip to the mountains! You've got a good start on your decorating. It's still near 100 here too, and I just can't get in the fall mood. I got a few things out and bought pumpkins today. It's been hard to find pumpkins too. Enjoy your time in the mountains. We will just tough it out tomorrow in a hot sweaty gym watching volleyball and a noon soccor game. 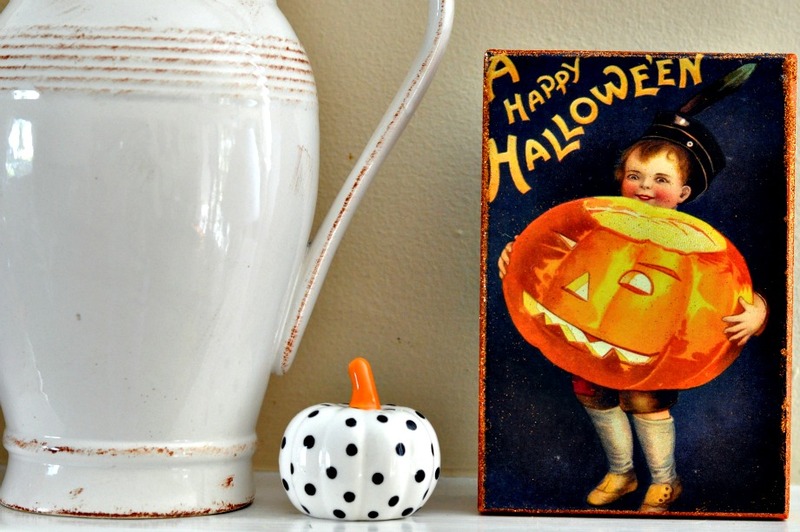 I love your little retro Halloween signs. 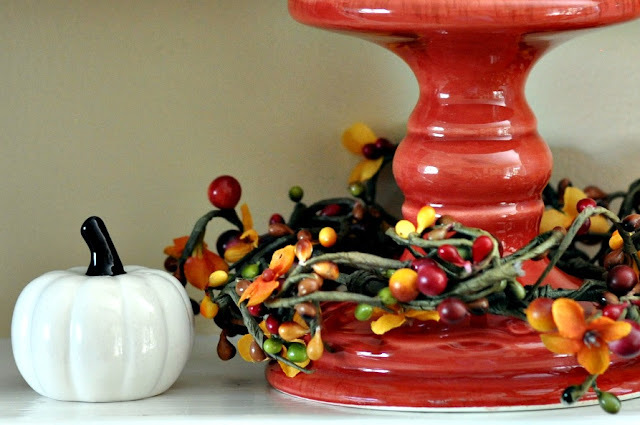 Your fall decorations look gorgeous! I hope the temperature drop a bit and feel just right soon! Wishing you a happy weekend, Patty! I like your fall decorations! For some reason, this year I'm having a hard time coming to terms with summer being over, so I'm not ready for anything fall related yet! It's been very cool in northern IL these past few days. Just got back from a couple of small towns in Wisconsin - my husband and I were up there for an overnight getaway. We'll be going to church in the morning, but I think I'll start decorating the porch for fall tomorrow afternoon. Need to go shopping for some pumpkins and gourds! We got a hint of a freeze last night in Wisconsin....even furnace on to take the chill out of the house. I'm hoping for just a bit of Fall here....smile. Did you go to the mountains Patty?